Students interested in the BSLA Professional Degree, offered under the College of Agricultural and Life Sciences, may now earn the BLA Professional Degree housed in the College of Letters & Science. This BSLA program is a nationally accredited four-year professional landscape design program by the Landscape Architecture Accreditation Board (LAAB). Our most recent review occurred in November 2013, as a result of which we received full accreditation through December, 2019. Read more about our BSLA Accreditation Status. The professional degree program requires four years to complete. 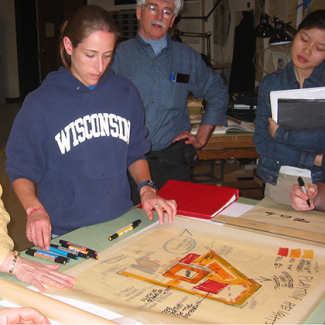 In addition to courses that meet University and College requirements, the curriculum requires a series of classes taught by Landscape Architecture faculty, each of which is offered only once a year. Students must take the courses in order, as the content of each relies on information presented in previous courses. 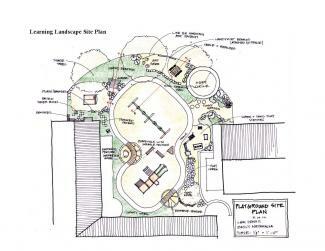 Solve problems and/or produce new knowledge for landscape design, planning, and management. Serve as an entry to advanced degree programs, including specific programs offered at UW–Madison. Especially in the third and fourth year studios, many projects involve actual case studies. Fourth-year students have the opportunity, during our year-long capstone course, to solve a real-world design problem. Each student develops a unique project from start to finish for an actual client, for example, a Wisconsin community or non-profit agency. This experience both helps students synthesize and apply the ideas and skills they have learned in a real world setting, and provides assistance to the people of Wisconsin. You can find examples of recent capstone projects in our yearly Contour publication. For the 2017-2018 Capstone project, the Landscape Architecture program was able to accommodate 13 projects. If a community, business, organization, etc. would like to be considered for the 2018-2019 Capstone project, an email can be sent to Eric Schuchardt to be put onto the list. The faculty strongly encourages students to pursue internships with landscape architecture firms and to participate in study abroad opportunities, several of which are tied to faculty programs and interests. In January 2014, for example, students had the opportunity to spend winter break in Costa Rica. Once students are admitted to the second year of the program and for each subsequent semester, they are assigned desks within the Agricultural Hall studios to serve as their workspaces. Access is 24/7. By working in the studio, students not only get to know their own classmates well, but also have access to undergraduate students in other years of the program, as well as graduate students and faculty. The studios include state of the art computer facilities through which students interact with each other, faculty and the global network. The result is that students and faculty form an active learning community. The BSLA Program mission is to provide students with a solid base of knowledge and skills reflective of the landscape architecture discipline. We emphasize place-making based on an understanding of ecological principles, societal needs and cultural foundations. In particular, we provide students opportunity to explore their interests in design and planning for healthy living environments, healthy ecosystems, community development and cultural resource preservation. 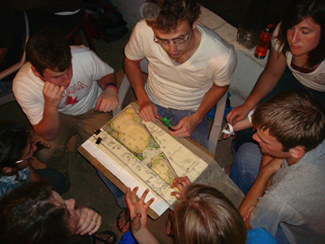 The Essential Learning Outcomes for the BSLA Program are based on four influences: (1) the Department’s overall curricular goals; (2) the National Landscape Architecture Accreditation Board Standards; (3) the University’s “Essential Learning Outcomes”; and (4) the values of the program faculty as expressed in the mission statement. Integrate social, cultural, ecological and technological dimensions in solving novel design and planning problems concerning the betterment of rural and urban natural and cultural landscapes. Demonstrate critical thinking and the ability to explore ideas and synthesize information, both independently and in collaboration with interdisciplinary team members. 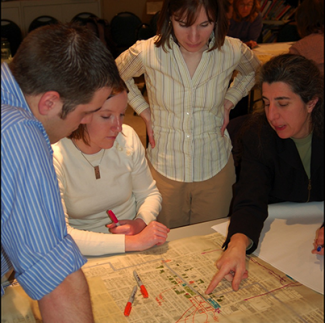 Demonstrate competence, creativity, and critical judgment in applying the intellectual and technical skills necessary to the professional practice of landscape architecture; in particular the skills of problem-solving surrounding spatial, three-dimensional design of outdoor spaces, including, in particular: site inventory and analysis; community participation; programming; synthesis; communication; implementation; evaluation: and management. Apply and evaluate the components of a professional curriculum as defined by the Landscape Architecture Accreditation Board, the accrediting organization for landscape architecture programs. Understand, apply and evaluate the principles, theories and recent research findings in the field of landscape architecture. Demonstrate advanced communication skills, including graphic, verbal, and written presentation skills. Be able to perform as an entry-level landscape architect in a public or private office or agency setting.